Online ordering menu for Joe's Trattoria. 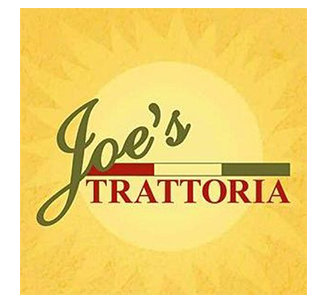 Welcome to Joe's Trattoria, the go-to Italian restaurant in Aledo, IL! Come and enjoy our hand crafted pizza in the style of your choice! We have regular crust, pan, stuffed, and specialty pizzas, including our BLT Pizza and our Sicilian Pizza! Not in the mood for pizza? We also have a variety of your favorite sandwiches and pastas including our Italian Delight Sandwich and our Fettuccine Alfredo with Shrimp! You can find us at the corner of SE 3rd and SE 6th street, right across the street from the Circle K convenience store and BP gas station. Order online for carryout today!